WL 4647823 (W.D.N.C. Aug. 5, 2015). You may read the opinion here. In this breach-of-contract case, the corporate plaintiff produced over 11,000 emails and documents, including emails between the company’s Division Vice President and two in-house lawyers. One of these emails contained a statement indicating the vice president’s interpretation of a pertinent contract provision. At the vice president’s deposition, defense counsel showed him one of these emails and asked 18 questions about it without objection from plaintiff’s counsel. 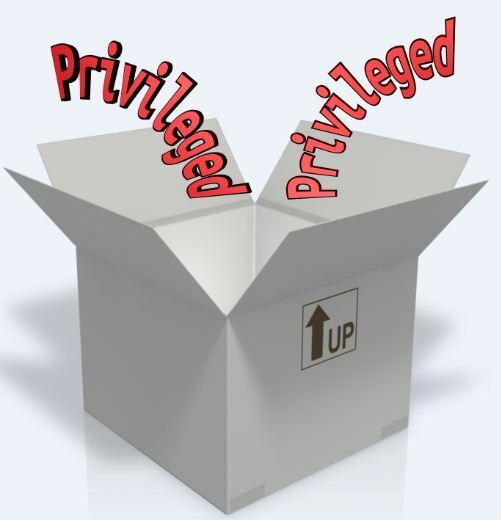 The parties took a 49-minute lunch break and, upon resumption of the deposition, plaintiff’s counsel informed defense counsel that it appeared his client inadvertently produced privileged documents. Defense counsel then filed a motion asking the court to deem the privileged waived as to the email used at the deposition as well as all inadvertently disclosed privileged emails. The parties agreed that a Consent Protective Order, available for review here, governed the vice president’s deposition and related discovery. While the Order provides guidance regarding the identification and return of inadvertently produced documents, it was silent regarding the precautionary measures that the parties must take to avoid inadvertently producing privileged information. The court took note of the absence of any governing provisions. In the absence of guidance from the Consent Protective Order, the court defaulted to FRE 502 to determine whether the corporate plaintiff took adequate precautionary measures to prevent inadvertent disclosures. The plaintiff argued that objections to privileged materials do not have to be immediate, but the court determined that allowing 18 questions before asserting an objection was neither immediate nor prompt. The Court is sympathetic with counsel, but does not believe that he should be afforded greater protection than an attorney at trial who does not object to evidence at the critical point when tendered. The court found the privileged waived and ordered production. Two lessons arise from the Waste Connections opinion. First, if lawyers agree on a protective order that governs inadvertent disclosures, then they should consider including an agreement on precautionary measures that each party must take to avoid inadvertent production of privileged information. Without identified and agreed-upon measures, courts will default to FRE 502 (or state equivalent) to determine the adequacy of procedures. A word of caution: if a party agrees to certain pre-production measures, then he must adhere to them or risk indefensible waiver. Second, while allowing your opponent lawyer 18 questions on a putatively privileged document may not seem overly permissive, particularly when the lawyer was unsure how defense counsel obtained the documents and felt secure in the Consent Protective Order, the court’s ruling instructs lawyers to object immediately, even with a protective order, and prevent further questioning until all of the facts are known. Analysis: Does the Privilege Cover Post-Accident Investigation Reports? Witness Statements and Work-Product: Is It Deceptively Simple?